Find out more about our speakers who lead workshops in our programs! 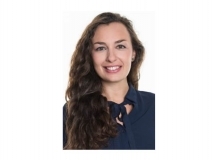 Alexandra Rouchon is working at BNP Paribas and more specifically within the Innovation hub since its creation in 2015. She is dealing with multicultural startups (foodtech, medtech, biotech, cleantech, robots or IT). The best part of her job is to be able to meet all the actors involved in the ecosystem: funds, incubators, media, and creative people. 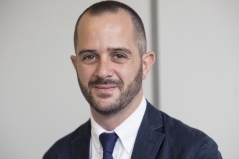 Amaury Descamps is Relationship Manager at BNP Paribas International Business Center, working with Patrick Cruciata. He is dedicated to non-resident corporate clients. He is the Digital & Innovation referent in his department. Anne de Forsan has been working as a communication and marketing leader in the IT industry for over 20 years. She created StoriesOut in 2010 to be part of the digital revolution the global economy is undergoing. The agency helps innovative companies and projects to gain visibility and traction on their newly defined market through tailored communication strategies that include PR and influencers campaigns, media coaching, online, inbound and outbound communication plans. Chartered Accountant and Auditor since 2001, he spent 2 years in England. Back in France, he worked for 5 years at PWC and 5 years at DELOITTE dealing with foreign companies operating in France. 12 years ago, he founded AUDIT CPA which is specialized in reporting, payroll, tax compliance, accounting for the foreign firms established in France. AUDIT CPA has now 90 employees. 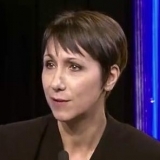 Caroline Treuillard is Managing Director and has been working at France Immigration for the past 11 years. She joined the company as an Immigration consultant and participated in the development of the company which now has 35 employees. Caroline holds a Master in Private law and legal translation. Expert in public funding of innovation at Sogedev for more than 10 years, Emilien helps startups and companies with their public funding procedures for Research & Development (R&D) and innovative projects. He covers the field of fiscal and social incentives like research tax credit (Crédit Impôt Recherche – CIR) and special status for young innovative companies (statut “Jeune Entreprise Innovante” - JEI), and also works on applications for public grants for innovation. 15 years after its creation, Sogedev is present in France (Boulogne-Billancourt, Nantes, Lyon and Aix-en-Provence) and in Brasil (Sao Paulo). Florence Bartolo joined Ayming, Business Performance Consulting company, in 2006. 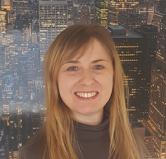 She is Director of the Grants activity in France, and leads a team who supports Ayming’s clients to find and access grant funding for their projects, across many sectors and funding schemes. Gaël Laporte is Senior consultant at Ayming since 2012. Gaël works with Florence to support companies in enhancing the value of their investments and developments projects through public policies and grant funding. He has over 10 years of experience in business development and project management. Joyce Pitcher is the founder of Pitcher Avocat, a law firm dedicated to international business law. Strongly invested in international entrepreneurship and in the startup scene, Joyce advises French and foreign companies in various areas of business law including commercial contracts, general terms and conditions drafting, companies’ incorporation, trademarks, litigation”. Karen Guillaume is a senior immigration consultant and has been working at France Immigration since Feb 2014. She is in charge of a dozen of corporate accounts (multinational companies) and assists her clients on every type of immigration procedures. She holds a Master in Business Law and has been part of the UN ICTR jurist programme. Patrick Cruciata is working at BNP Paribas and since 2015 managing International Business Center dedicated to foreign companies. He is mostly dedicated to help and support innovative companies willing to set up in Paris. Sylvie Day has been an intercultural consultant for 14 years, facilitating programs on multicultural teambuilding, global leadership, presentation skills, cultural awareness and the challenges of working in virtual teams – as well as preparing expatriates and their families from a multitude of different countries for overseas assignments, including France. She works in variety of industries including financial services. For over fifteen years, Trang has been involved in on the operations, service and project management side of business for fashion, education, high-tech and telecom startups and companies.Trang’s skill set range from operations to resource management. She also works with executive teams on leadership, with respect to team development, talent management and performance improvement. More than 20 years of total HR experience in international environment. Valérie brings an added value supports to the start-up founders/ SME managers to respond to business and team challenges. 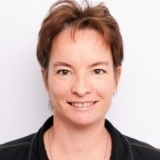 Her knowledge of the legal environment allows the managers to adapt their strategy and risk management.She is also an executive coach certified by HEC Business School, gives HR courses in the MS Essec-Centrale Paris: « Entrepreneurs ». 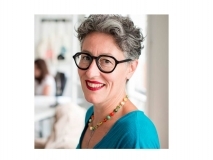 She also works with BPI France on start-up acceleration programs.